A royal helmet fit for a king. All metal Lionheart helmet weathered with an aged brass crown. Accentuated detail with rivets on the rim. 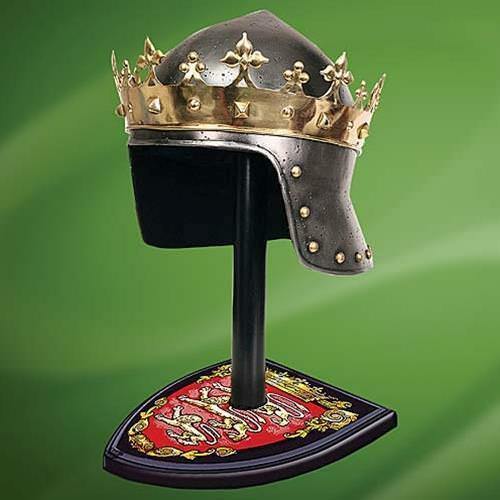 Comes with a display stand and coat of arms of Richard I. NOTE : This item is only available on order. However it can only be supplied if there is a current order being produced by the factory. An email enquiry is required before order to ascertain if supply can be arranged.